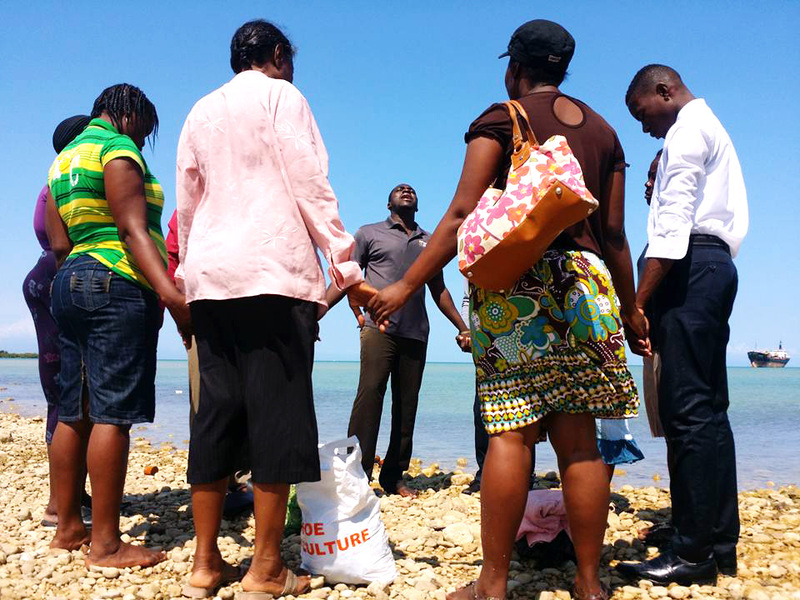 As of October 1, I have been the director of operations for Jesus in Haiti Ministries for three years. I give thanks to God for giving me the opportunity to serve this community for the past three years with the support of each member of the ministry. Together, we are fulfilling our calling to teach the Word of God, build relationships and share burdens, transforming lives through discipleship. As I look back at all that has been accomplished, I sincerely want to thank God, especially for His wisdom, and His grace in me. I thank everyone who has supported me during the difficult times—your encouragement helped me to stand firm. We understand that the needs are enormous, but with the help of God, through our supporters and leadership, many lives are being transformed through education and the Word of God. 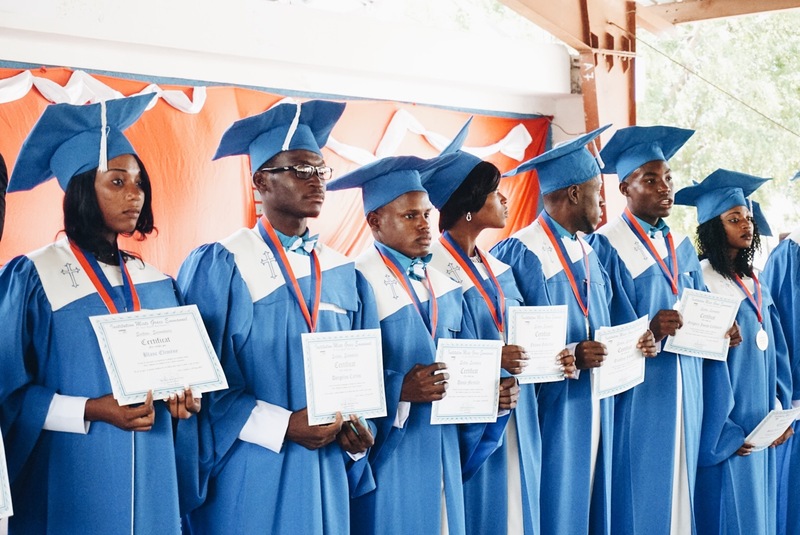 During the last 3 years, we have educated hundreds of students who thought they would never go to school because of lack of funds, thousands have received the Word of God at Victory Bible Church, and many have received salvation. Blessed be the Lord! This summer we celebrated our second high school graduation at Grace Emmanuel School, which began its 15th year of operation last month. We now provide education and a daily hot lunch to 370 students in grades PreK–13. 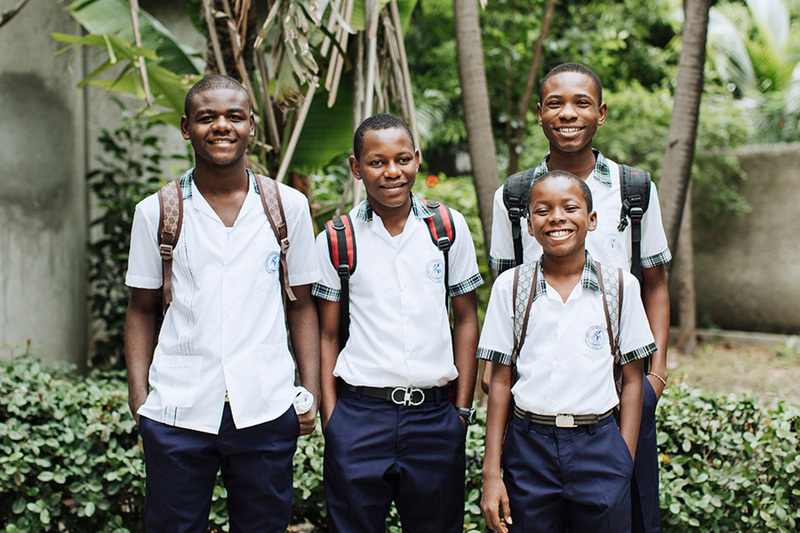 In July, GES celebrated its highest passing rate ever on the government exams given to every 9th grader in Haiti. We continue to work to improve the education we provide, and are excited to open a computer lab this year. Thanks to the JiHM Scholarship Fund, two students from GES’ first graduating class in 2017 have begun their second year of college this fall, and two additional graduates from 2018 will also be able to attend college in Haiti. The Lighthouse Children’s Home continues to provide a safe and loving home for nine children, who have just started a new year. We have cared for many of these children since the earthquake in 2010, and it is hard to believe they are nearly all teenagers now. 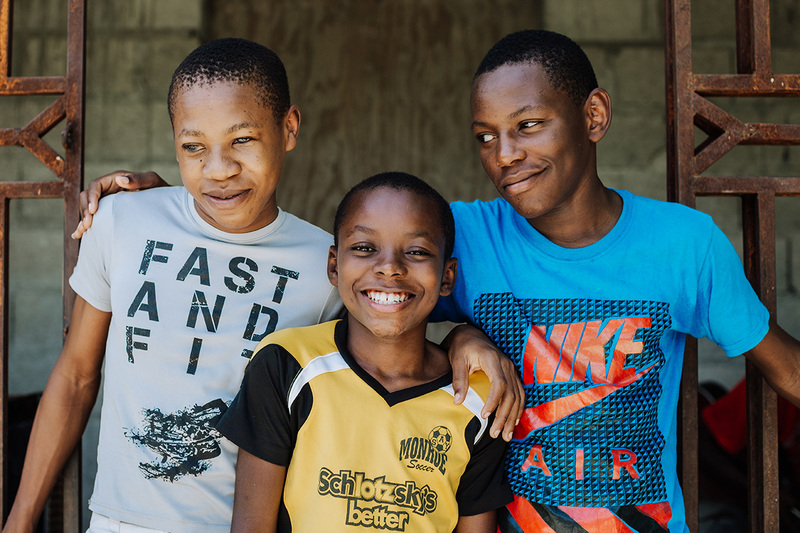 Two additional young men who have transitioned out of the home, Ricardo and Gervens, are thriving in their new living arrangements. Much to everyone’s delight, Gervens was able to move back home with his biological parents in 2017; we provide support so his family can send him by motorcycle each day to a special needs school in Port au Prince. 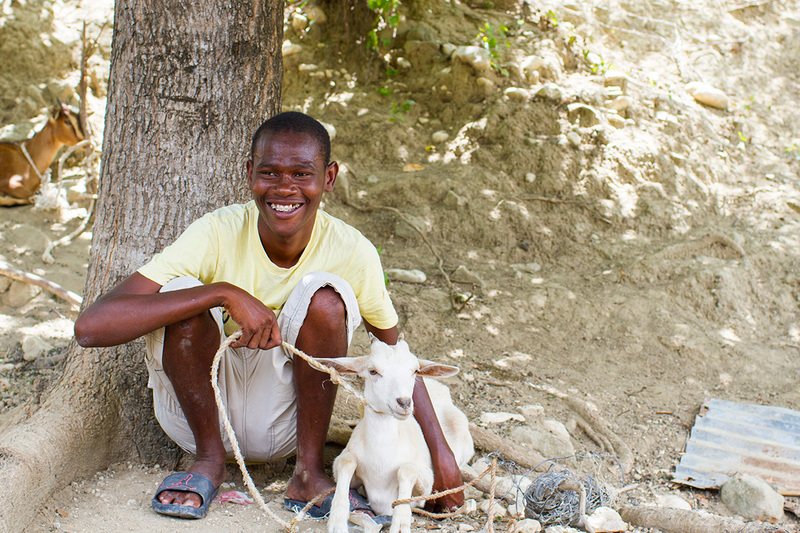 Last spring, we were able to place Ricardo with a wonderful foster family in a more rural setting, and he loves his newly built home and tending to his goat business. Through our Lighthouse Legacy program, we provide further education and living assistance to young adults who have transitioned out of the Lighthouse. This fall two of them returned to college: Derson in his last year of seminary, and Sonson in his third year of a business tourism program. Ronaldo just completed a program in industrial maintenance this summer. Even in reflecting on all of this, it still feels like we have only thrown a drop of water in the ocean. A lot of work remains to be done through JiHM, and I am grateful for your continued partnership. Your prayers, love, encouragement, and financial support help us work with the strength God supplies to bring about God’s plans for this nation we love so much. The Word of God says in Jeremiah 1:12 that God is watching to see that His Word is fulfilled. This ministry is in God’s plan and He wants His plan to work in this ministry. I implore you to continue to take part in this plan. Meet a need through the Christmas catalog. Sponsor a student at Grace Emmanuel school. Partner with a child at the Lighthouse. Become a monthly supporter where it’s most needed. May the God of peace who does not give as the world gives (John 14:27), keep your heart and bless you! 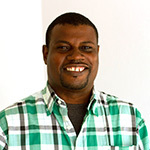 Roger Carole is the director of operations for Jesus in Haiti Ministries. 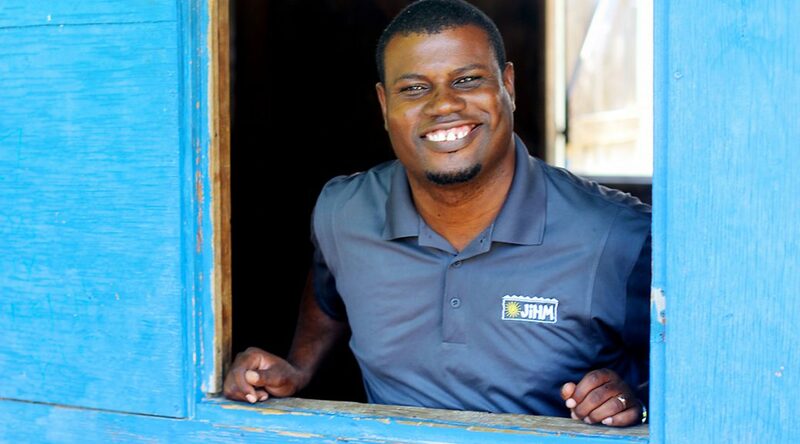 He returned to JiHM in 2015 after working with Samaritan's Purse for several years following the earthquake. Roger and his wife, Kerline, live in Source Matelas with their two sons.